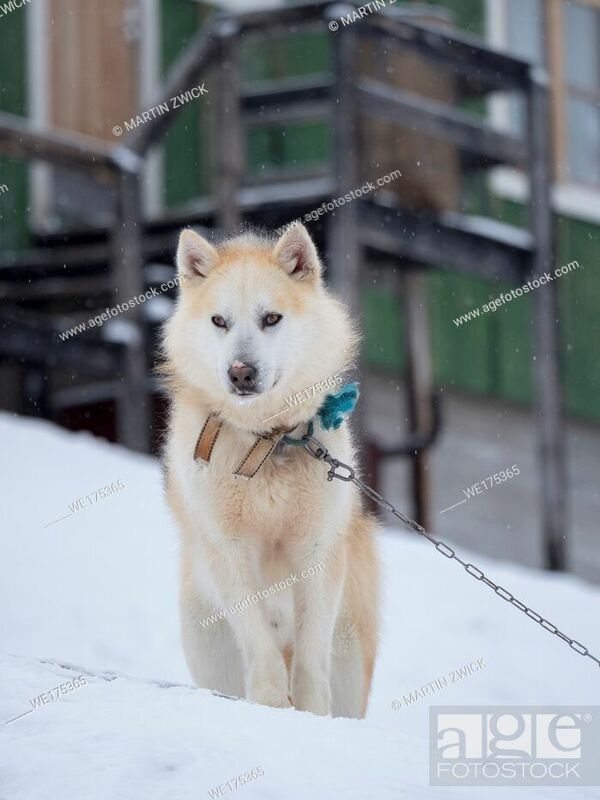 Stock Photo - Sled dog during winter in Uummannaq in the north west of Greenland. Dog teams are still draft animals for the fishermen of the village. North America, Greenland, Denmark.